Registration for the XI Belgrade Arbitration Conference is now open! Participation at the Conference is free of charge and requires only prior on-line registration. Program of the Conference is also now available. We are looking forward to seeing you soon at the University of Belgrade Faculty of Law. 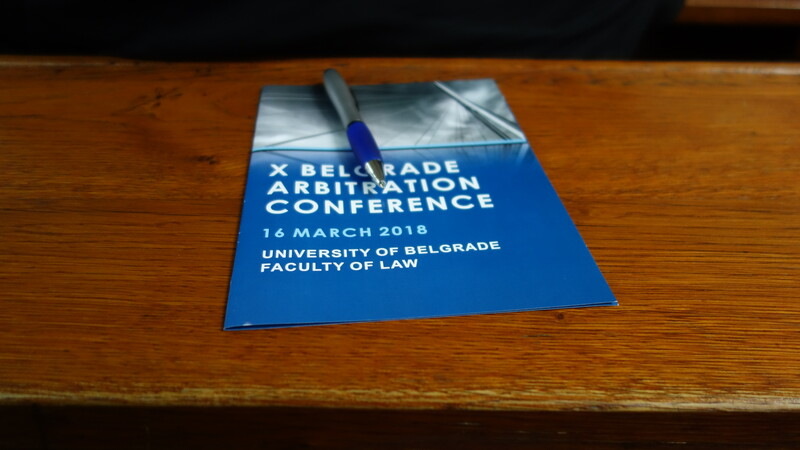 X Belgrade Arbitration Conference took place on the afternoon of March 16, 2017 at the University of Belgrade Faculty of Law. The spring in Belgrade was one again marked by traditional gathering of world experts in the field of arbitration. University of Belgrade Faculty of Law hosted the eight Belgrade Arbitration Conference on 11 March 2016, an ever-growing trademark event of our law faculty. This year the Arbitration Conference welcomed more than 250 participants – lawyers, judges, arbitrators, students from 30 different countries. The conference panels this year discussed a selection of emerging topics in international arbitration law (see Conference Program). The traditional gathering of world experts in the field of arbitration took place in Belgrade this spring. 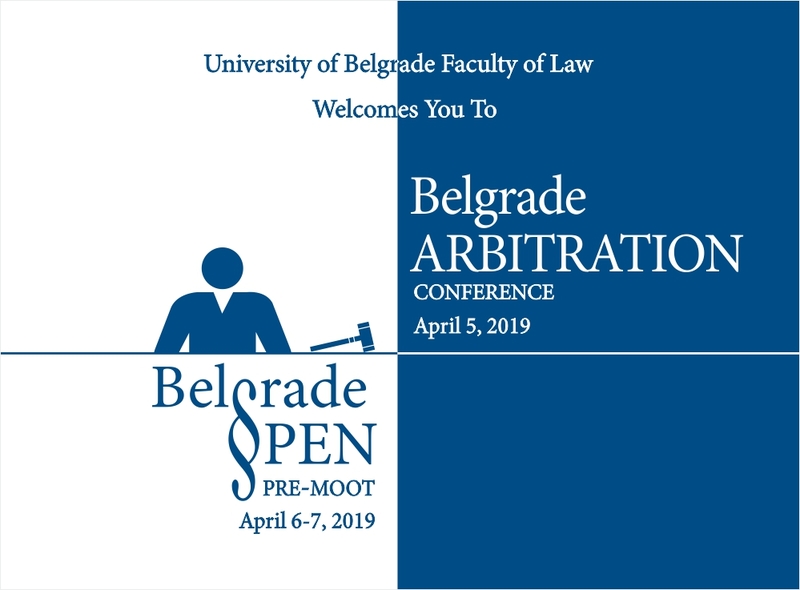 University of Belgrade Faculty of Law hosted the seventh Belgrade Arbitration Conference on 20 March 2015, an ever-growing trademark event of our law school with a constantly increasing number of participants. The conference panels this year discussed a selection of emerging topics in international arbitration law (see Conference Program). The traditional gathering of world experts in the field of arbitration took place in Belgrade again this April. On 4 April 2014 the University of Belgrade Faculty of Law hosted the sixth Belgrade Arbitration Conference, one of the trademark events of this law school with an ever increasing number of participants. The topics discussed this year revolved around two defining factors of efficiency of arbitration proceedings – arbitrators’ powers and party autonomy (see Conference Program). The opening ceremony begun with the words from the Dean of the University of Belgrade Faculty of Law, Professor Dr. Sima Avramovic, who reminded the participants of the success of the previous conferences and expressed his satisfaction at the fact that the University of Belgrade Faculty of Law is organizing again such a prestigious event. On behalf of the German Institution of Arbitration (DIS), an esteemed partner in organization of the Belgrade Arbitration Conference, the participants of the conference were welcomed by Ms. Caroline Bechtel, DIS Case Menager, who expressed her satisfaction with the cooperation with the host institution on organization of the Belgrade arbitration conference and Belgrade Open Pre-Moot. She also introduced the DIS services to the Conference participants highlighting its distinctive features. In the name of the traditional partner in the organization of the Belgrade Arbitration Conference, GIZ Open Regional Fund for SEE, Ms. Adela Llatja took the floor and expressed her satisfaction that thecooperation on organization of these arbitration events has been so fruitful over the course of past seven years. Dr. Judith Knieper of UNCITRAL highlighted the role of UNCITRAL in the field of development of arbitration law and introduced the participants with the most recent developments in this area. Finally, Dr. Miroslav Paunovic, President of the Serbian Arbitration Association, expressed his satisfaction that the Serbian Arbitration Association has joined the pool of organizers of this highly important event and informed the participants of the recent developments in the field of arbitration in Serbia. Belgrade has once again, traditionally, gathered numerous renowned names in international commercial arbitration on the occasion of the IV Belgrade Arbitration Conference that took place on 23 March 2012. After a very successful outcome of the previous conferences in the past three years and an increasing interest of international professionals in the field, the University of Belgrade Faculty of Law has gathered – with a great support from GIZ Regional Open Fund for SEE, German Institution of Arbitration (DIS), Ministry of education and science of the Republic of Serbia and Foreign Trade Court of Arbitration attached to the Serbian Chamber of Commerce – more than 300 participants from all over the world including ten distinguished international experts that served as panelists on topics related to issues of crime and ethics in international arbitration proceedings and regional and national flavor in international commercial arbitration (see Conference Program). III Belgrade Arbitration Conference was dedicated to new trends and challenges in international commercial arbitration, under the title “International Commercial Arbitration – Trends and Challenges”. This event gathered in Belgrade the most prominent world experts in the field of arbitration law. II Belgrade Arbitration Conference dealt with the most challenging questions of the application of alternative dispute resolution methods in international business practice. This event was organized under the name of “Belgrade Arbitration Conference – Combining Arbitration and Mediation in International Business Practice”. It brought to Belgrade the most distinguished experts in this field, including the former long-term Secretary of United Nations Commission on International Trade Law (UNCITRAL), Dr. Jernej Sekolec.